Maddy Kent McKallip resides and trains classical dressage in the greater Davis, Winters, Woodland, Dixon & Vacaville, CA area. She is mostly available at McMullen Ranch between Davis & Winters. 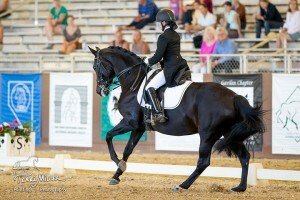 Her degree in Exercise Biology with an emphasis in bio-mechanics from UC Davis, allows her to bring the art of true classic dressage to any horse through proper muscle conditioning and balance. 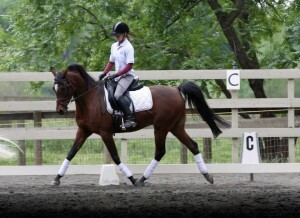 With proper training, it is her goal for a horse to progress at their own pace without trauma or injuries. As Maddy explains, it has been a bumpy ride. “Ten years ago, we couldn’t afford a fancy upper level horse. We were ecstatic to find Donna, although she was ‘not easy to ride’ and ‘didn’t show well’. My princess wasn’t about to do anything unless she was asked properly. Her determination forced me to ride correctly or we would not be moving to the next level. It wasn’t the fast road, or the easiest road, but it taught me to think about dressage, giving me the ability to verbally express the discipline in a training session. 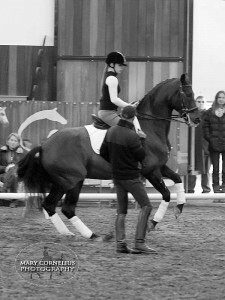 It triggered my interest in muscle movement, enabling my approach to training as the development of proper conditioning to perform each level of dressage.” Maddy forever continues her education by regularly working with a diverse group of clinicians such as Axel Steiner, Jeremy Steinberg & Tanya Vik among others. 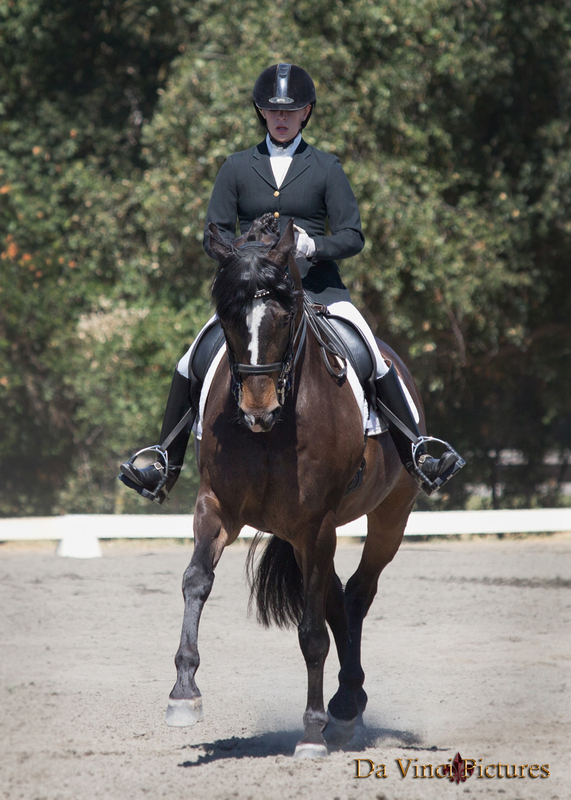 Over the years, Maddy has experienced many aspects of dressage. Her knowledge of kinesiology enables her to work with rehabilitating horses. Two years ago her friend’s horse, Muztagh, was undergoing pastern fusion surgery, and the prognosis was uncertain. In 2014, Maddy showed Muze at 3rd Level and he is now training the Prix St George and I-1 movements. Her latest project is her 5 year old Arabian, Major Shai (Amir). When he turned 3, Amir’s former owner sent him to be broke, but 2 months later the training was halted and Amir was left for 9 months. Maddy happily purchased him for little money and started his training over from scratch. 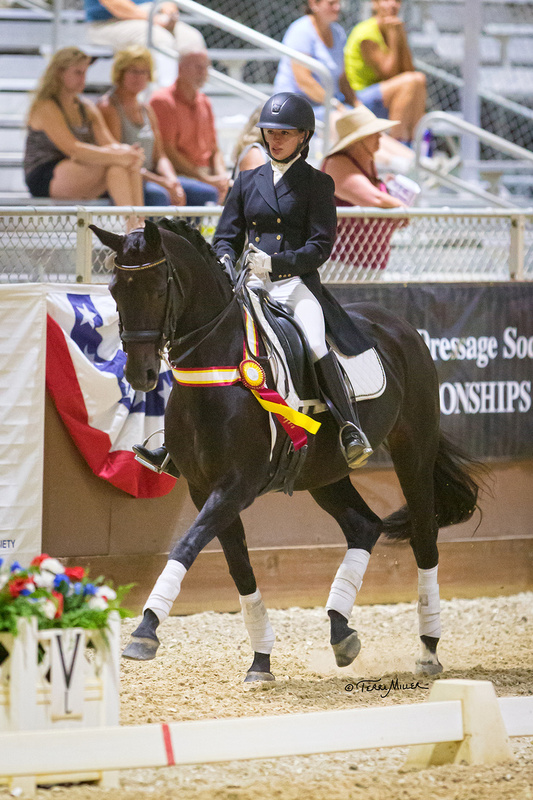 In 2015 Amir & Maddy successfully competed in Training Level and qualified for the 5 year old futurity at 1st Level. (View in our video gallery.) Maddy has also worked with Friesian and Lusitano horses who, as Baroque breeds, require a different approach than Warmbloods and Arabians. 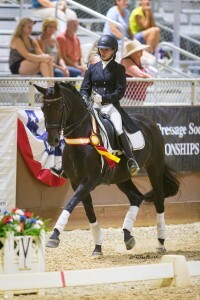 Through Maddy’s wide experience training young horses, rehabilitating FEI horses and successfully showing to the Grand Prix Freestyle level, she can adapt her teaching & training methods to the various individual needs of her clients, including working with 3-day eventing horses & riders to improve their dressage scores.